In a joint filing in the U.S. District Court for the Northern District of California in San Jose, they asked a judge to delay ruling on the FTC's motion for partial summary judgment for 30 days. At issue in the civil litigation and regulatory disputes is whether Qualcomm's patent licensing practices, when combined with its chip business, constitute anticompetitive behavior. Regulators in South Korea and Taiwan initially ruled against Qualcomm, but it has appealed the rulings and settled some of them. Settling legal disputes will also be critical if Qualcomm Chief Executive Steve Mollenkopf wants to meet the company's ambitious financial goals. 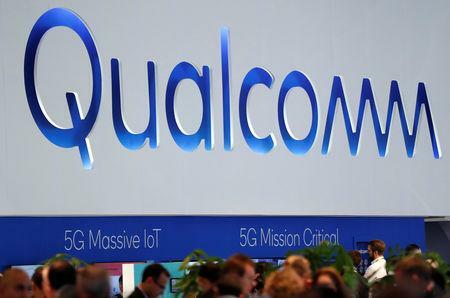 Facing a hostile takeover bid earlier this year from Broadcom Inc, Mollenkopf said Qualcomm aimed to earn up to $7.50 in adjusted earnings per share by the company's fiscal 2019, a goal that hinges on cost cutting and patching up relations with customers and regulators.